Sefapane Lodge is located 1 km from the Kruger National Park, in Phalaborwa and offers a luxury home base to stay for your combined wildlife / golfing break. With quality service, warm hospitality and a relaxed atmosphere, it is ideal for those who want flexibility in their daily routine - and it offers great value for money! Being outside the Kruger National Park, Game Viewing is done each day from the lodge into Kruger and safaris can be booked as you decide. 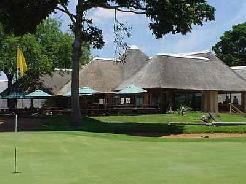 The lodge is conveniently situated for Phalaborwa airport and golf at Hans Merensky course. 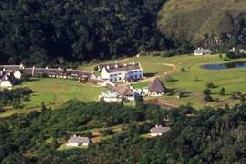 Dutch owned and managed the four star Sefapane Lodge is run by dedicated staff that will make sure you feel at home. Large indigenous trees and beautiful tropical gardens make Sefapane Lodge & Safaris a green oasis amidst the bushveld of the Limpopo province. 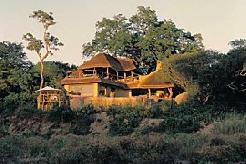 Birding is excellent throughout the lodge and specifically at the rustic dam. 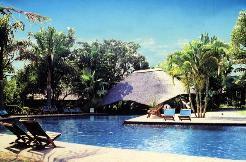 Sefapane offers a selection of accommodation to suit everyone�s needs and budget. Whether you choose an African rondavel or a self catering safari home, you will be surrounded by tropical gardens and shady trees. The accommodation offers you privacy and comfort and a �home away from home�. 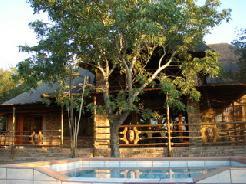 Sefapane Lodge in Phalaborwa should be your choice if you want to experience the Kruger National Park and combine it with great hospitality, great food and many options for safaris, excursions, golf and/or adventure activities. 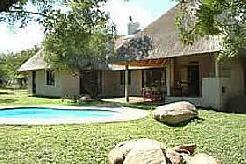 Only 1 km from the famous Kruger National Park! Sefapane Lodge borders the quiet town of Phalaborwa, which is the only town in South Africa that is located directly at one of the gates to the Kruger Park. 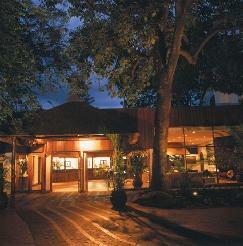 The safari-style airport of Phalaborwa is just 5 minutes away and complimentary transfers are offered. 30 African style rondavels with en-suite bathroom, air-conditioning, fridge, coffee/tea making facilities, private veranda and private parking. There are 3 Family units available as well each with 3 bedrooms and 1 sharing bathroom. The decor is rustic and local crafts have been used to give the room an African feel. The rooms are spacious and ideal for a longer stay. Request a room by the waterhole as the bird life is fantastic. Sefapane has an excellent a la carte restaurant that serves filling breakfasts, excellent lunches and mouth-watering dinners. Braais (barbecues) can be organized as well. The cuisine is a fusion of international and local dishes, with vegetarian options.